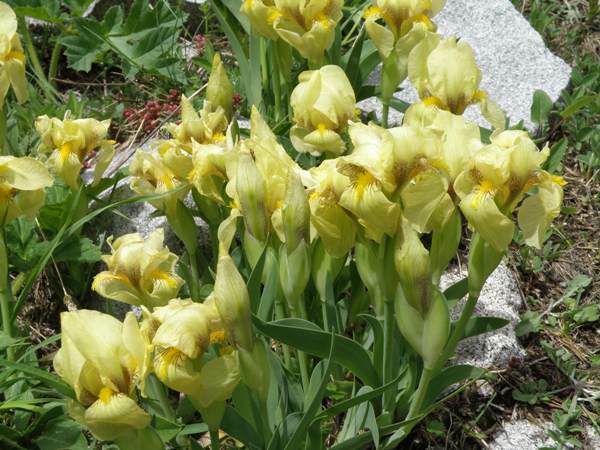 Iris reichenbachii is now rather rare but is found in the mountains of Europe - northern Greece and in the Balkans - both on the slopes and also in the meadows. The flowers are either yellow or sometimes blue-to-purple. 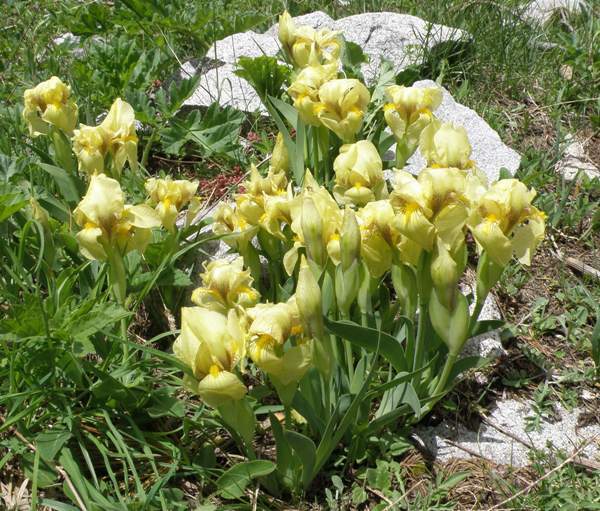 The flowers pictured on this page were found in a mountain pass in the Pirin Mountains National Park in Bulgaria. They were in an extremely inaccessible place and photographing them required sliding (rather than falling!) down a very steep mountain scree. The specimens above were photographed in the Pirin mountains in Bulgaria in mid June. It was high up in an area where the snow was melting fast but still present.